Twenty years ago, a group of friends in Guelph began a humble project. A labour of love, it was a manifestation of their appreciation for the creative and provocative, the subtle and obtuse, the rehearsed and the improvised. That project, known as the Guelph Jazz Festival, has since blossomed into its currently lush incarnation that includes an internationally acclaimed music program, a high-calibre academic colloquium and its very own all-night Nuit Blanche event. This year's Festival runs September 4-8, with an added September 3rd performance in celebration of the festival's 20th Anniversary. Click here to read more about the 2013 Festival in a nutshell and to get your Early Bird pass today! Ajay Heble announcing this year's lineup. 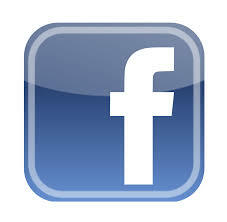 The 2013 Guelph Jazz Festival Colloquium will have its full schedule of events revealed shortly. Information will be posted on the Guelph Jazz Festival homepage, as well as at our colloquia hub. As always, all colloquium events are free, accessible, and open to the public. We are delighted to announce the publication of the latest Special Issue of Critical Studies in Improvisation / Études critiques en improvisation (Vol. 8, No.2), guest edited by Amanda Ravetz, Anne Douglas, and Kathleen Coessens. 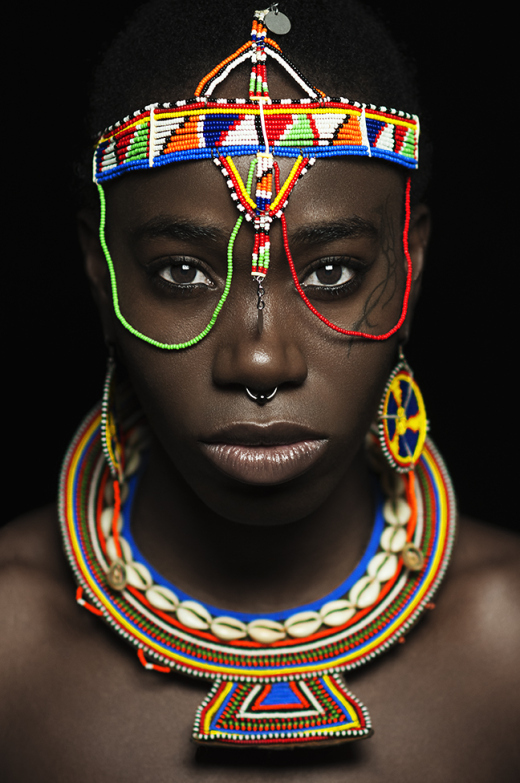 ICASP and Paintbox Bistro present Jamaican-Canadian dub poet, monodramatist, educator, and Dora Award winning actor and playwright, d’bi.young.anitafrika in an intimate free performance. Following the performance there will be an interview with the poet conducted by Paul Watkins (DJ Techné). Make sure you catch this event with one of Canada’s most visionary storytellers. Oral Histories is a showcase of interviews, performances, and articles by and about improvising musicians, artists, writers and scholars. This monthly feature offers an intimate look inside the minds and practices of some of the many dynamic, innovative people whose energy and ideas make improvisation studies such a vibrant field of inquiry. The Oral Histories project provides a space for improvising artists to be heard in their own words, often in dialogue with other improvisers, scholars and practitioners. Also, check out this video of ICASP researchers and improvisers Joe Sorbara, Mark Laver, and Amadeo Ventura performing with Miya Masaoka during her Improviser-in-Residence residency for an impromptu musical “intervention” at Planet Bean Cafe in downtown Guelph. 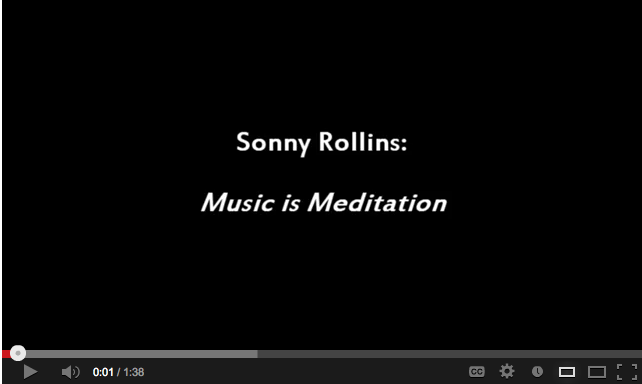 July’s quote of the month comes in the form of a short video from Sonny Rollins talking about the need to let go of thinking when playing and how music is meditation for him. 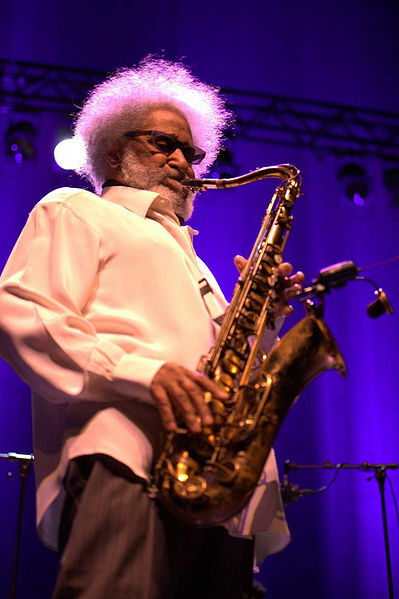 Theodore Walter “Sonny” Rollins is one of the most well-known and influential American tenor saxophonists working in jazz. A number of his compositions have become jazz standards, and his album Saxophone Colossus (recorded on June 22, 1956) with Tommy Flanagan on piano, Doug Watkins on bass, and Max Roach on drums, is one of the most acclaimed jazz albums ever recorded. Rollins, well into his eighth decade, continues to play the jazz festival circuit worldwide, often as the top billed act, and was documented on the two-volume Road Show series (2008; 2011). Catch more of the Silence concert series this summer in Guelph. 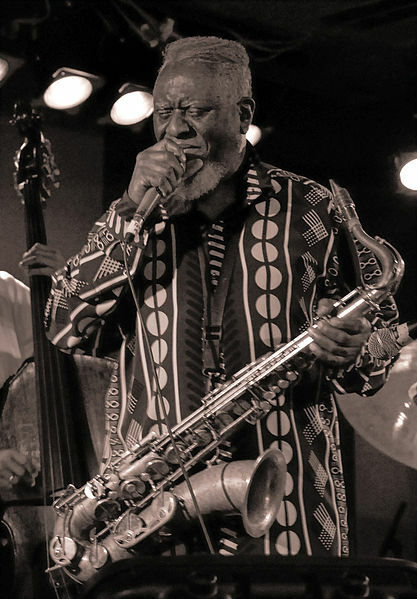 Born Farrell Sanders in Little Rock, Arkansas, he began playing tenor saxophone in various rhythm and blues and bebop bands, first in Oakland, California, and then in New York City. He struggled in New York City to make a name for himself, often working non-musical jobs and occasionally sleeping on the subway. Nevertheless, he gigged with various free jazz luminaries in New York, including Billy Higgins, Don Cherry, and Sun Ra (check out the 1964 Sun Ra live recording featuring Pharoah). 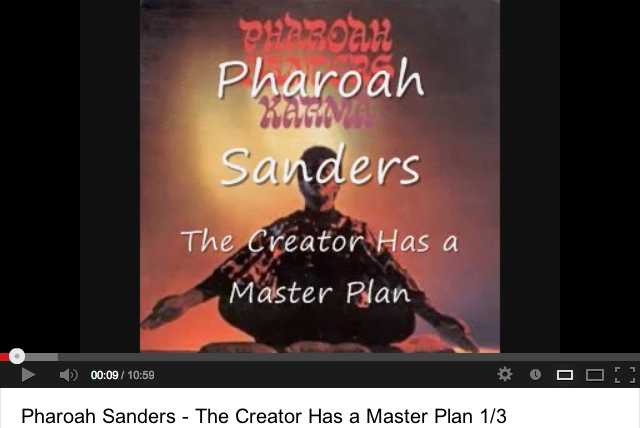 It is reputed that Sanders received his nickname “Pharoah” from bandleader Sun Ra, although music critic and poet Amiri Baraka lays claim to naming him Pharoah Sanders in the early 1960s when he thought Farrell Sanders said “Pharaoh Sanders” when introducing himself to the poet. 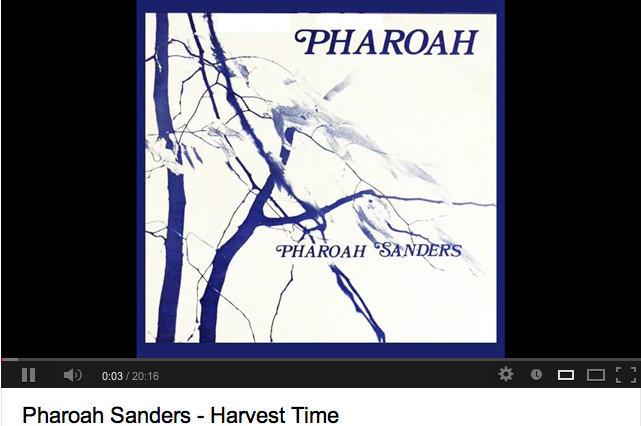 Regardless of the origin of the name, Sanders is certainly a pharaoh of power on the saxophone, gifting the world of music with a multitude of beautiful records. 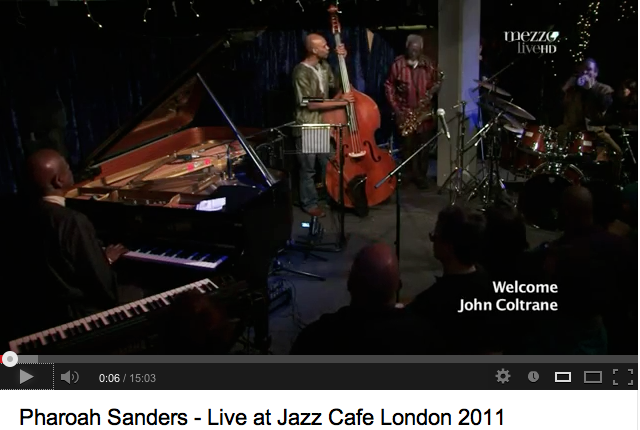 After Coltrane’s death, Sanders's music continued to show the strong influence of their collaboration, especially the spiritual elements, as the chanting in Om would appear in various recordings in Sanders's opus. In the late 1960s and 1970s Sanders explored his own music, continuing to work with Alice Coltrane and others, recording many influential records for Impulse! One such record was the 1969 benchmark album Karma, which is the perfect synthesis of his spiritual ideas and desire to take the music forward. The album contains only two tracks, the 32-plus minute “The Creator Has a Master Plan” and the five-and-a-half minute, “Colors.” The band is phenomenal and the feature vocals from Leon Thomas, with his incredible yodel-like singing, are something to behold. Never one to be pigeonholed, Sanders went on develop and change his style throughout his career, exploring different modes such as modal jazz, R&B, and hard bop in the late 70s and 80s. His records in the 90s and 2000s continue to blend styles (see the 2003 recording With a Heartbeat, which finds Pharoah playing with Bill Laswell’s Material crew along with recordings of a heartbeat) while maintaining that unique Pharoah sound. As part of Duke University Press’s Improvisation, Community, and Social Practice series, two volumes of which have already been published, this volume proposes an enhanced, interdisciplinary understanding of improvisation as a multivalent, global social practice found within and across different cultural and historical contexts, different national sites and traditions. Books in this new series generally posit musical improvisation as a crucial model for political, cultural, and ethical dialogue and action—for imagining and creating alternative ways of knowing and being known in the world. The books are collaborations among performers, scholars, and activists from a wide range of disciplines. They study the creative risk-taking imbued with the sense of movement and momentum that makes improvisation an exciting, unpredictable, ubiquitous, and necessary endeavor. But are these assumptions necessarily true in the more global contexts in which improvisation is present? Does improvisation necessarily mean the same thing in and across different national sites where the social utility (or not) of improvisation is subject to vastly different contingencies, contexts, and historical circumstances? What kinds of theoretical and case study analyses are required in order to broaden improvisation studies beyond North American and European sites delimited (largely) by specific forms like free jazz, spontaneous composition, and experimental music? The editors seek proposals for essays that address a wide range (geographically and culturally) of performance contexts in which improvisation is present as well as a diversity of critical traditions that have been, or should be, brought to bear on improvisatory practices. We are interested in work about music and sound, but also work that examines related improvisational forms such as dance, theater, intermedial performance practices, community organization and activism, transcultural encounters, and so on. As a means of addressing some of the key issues outlined above, we hope to include essays that address one or more of the following questions: How do improvisatory practices build from and challenge social norms and rules in different cultural contexts? How do transcultural exchanges lead to the emergence of hybrid improvisational forms? How do the assumed meanings of improvisational forms change as they travel between and across cultural contexts? How are transcultural, improvisational exchanges enhanced by emergent technologies, and to what extent do emergent technologies define the limits of improvisation as a social practice in certain contexts? How does a cross-cultural understanding of improvisation call into question existing theoretical and political assumptions guiding its study? How does cultural difference determine how improvisation operates in wider spheres of cultural practice? How do “sound changes” signify these differences in ways that mark improvisatory discourses as a site of dissonance rather than consonance? The Fierce Urgency of Now is now available! 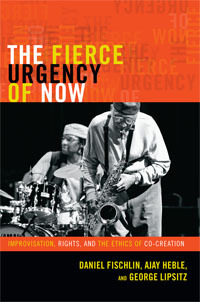 The Fierce Urgency of Now: Improvisation, Rights, and the Ethics of Co-creation is authored by Daniel Fischlin, Ajay Heble, and George Lipsitz. The book links musical improvisation to struggles for social change, focusing on the connections between the improvisation associated with jazz and the dynamics of human rights struggles and discourse. The authors acknowledge that at first glance improvisation and rights seem to belong to incommensurable areas of human endeavor. Improvisation connotes practices that are spontaneous, personal, local, immediate, expressive, ephemeral, and even accidental, while rights refer to formal standards of acceptable human conduct, rules that are permanent, impersonal, universal, abstract, and inflexible. Yet the authors not only suggest that improvisation and rights can be connected; they insist that they must be connected. Get your copy today directly from Duke University Press.